Did you know that four out of ten American children eight-years-old can’t read on their own? It’s not because they aren’t being taught, but rather because they aren’t being exposed to books and reading during their formative periods. Childhood literacy exper tly J. Richard Gentry would change all of that. 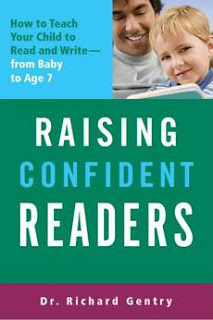 “Confident readers are not born,” Gentry writes in his introduction to Raising Confident Readers (Lifelong Books), “but they can be made -- naturally, lovingly, and joyfully -- by a child’s first reading teacher: you.